We have heard about underwater restaurants and cafes, houses and inns, but have you ever enjoyed underwater driving? Thanks to awesome engineering ideas and the 4.6-mile Monitor-Merrimac Memorial Bridge-Tunnel (MMMBT) this dream is a reality since 1992! 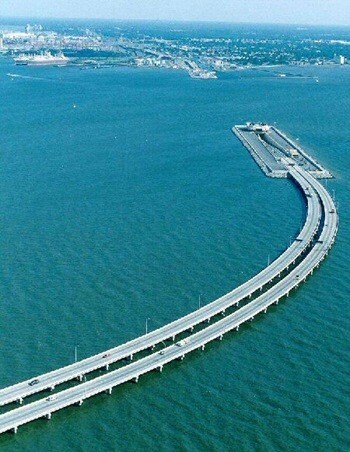 This bridge cost $400 million to build. And it can be viewed as a completely victory of progress over nature. The bridge seems to be so small and so unstable. If to look at its aerial photos it seems to be built right on the water. To drive there is a real pleasure, you will enjoy one of the most spectacular views in the whole world, breathtaking views: enormous expanse of water left, right, and ahead of you and nothing more, just blue sky, water and never ending line of the road … and then a tunnel out of the blue. The figures are even more impressive than views. This bridge is not only the most expensive project in the history of this place but the biggest and the most large-scale one. 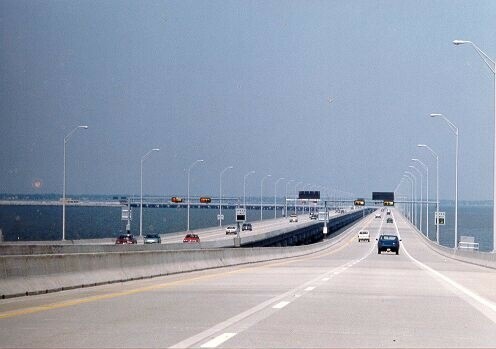 The MMMBT includes a four-lane tunnel that is 4,800 feet long, two special man-made islands,15 prefabricated segments each 300 feet long for constructing an underwater tube. 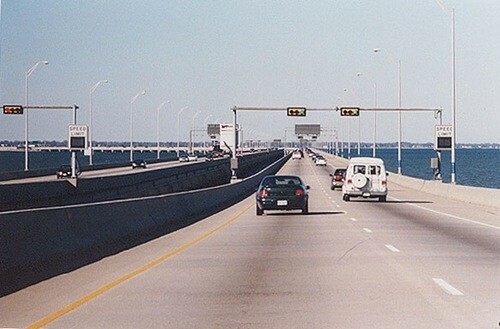 There are 33 special cameras on the bridge monitoring the traffic flow. 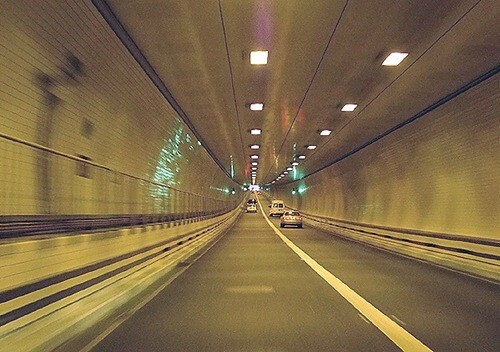 You can listen to your favourite radio stations while in tunnel. This feature was made in order for operators to be able to aware people of any accidents in the tunnel.